If you enjoy diving in the Gili Islands, love the underwater world and have a passion for scuba diving the PADI Divemaster Program at Trawangan Dive may be for you. Our 5 Star PADI CDC Center is situated in Gili Trawangan Indonesia. Become a PADI Divemaster or Instructor and share your passion for diving! The PADI Divemaster Course is the first step in creating a rewarding career in scuba diving and it is the starting point of an amazing adventure into the professional level of the recreational scuba world. Working closely alongside our extremely experienced PADI Instructors you will develop knowledge, confidence and leadership abilities which will prepare you for when we qualify you to supervise your own dive activities and assist instructors with student divers. The PADI Divemaster rating is also the prerequisite certification for both the PADI Assistant Instructor and PADI Open Water Scuba Instructor certifications. 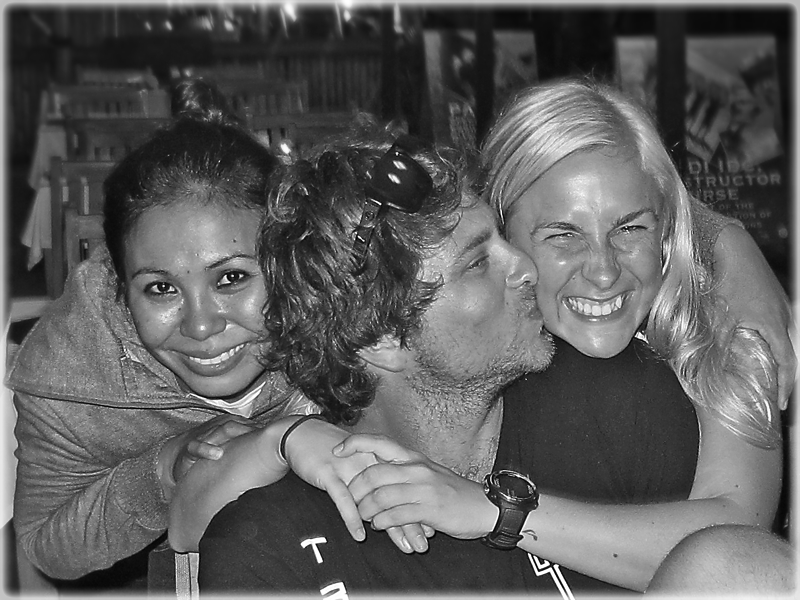 What will you learn during the Trawangan Dive Divemaster Internship! During the course you will learn leadership skills through both classroom and through your own personal independent study. You will complete the required water skills, stamina exercises and problem solving tasks as well as learning techniques to help other divers improve their skills. This knowledge and experience will be put into action through either an internship option or through a series of course based practical training exercises. Here at Trawangan Dive strongly encourage Divemaster Trainees to take the internship option over a minimum period of 3 weeks although this can be extended up to 5 weeks. As you progress through the program you’ll expand your diving knowledge, hone you skills and increase your confidence. As a qualified PADI Divemaster, you’ll use these attributes to lead, mentor and motivate other divers and experience the joy of seeing them transformed by the majesty of the aquatic realm. What can you do once you are a certified PADI Divemaster! What are the prerequisites for the PADI Divemaster Course! The Trawangan Dive Divemaster Program runs continuously throughout the year. 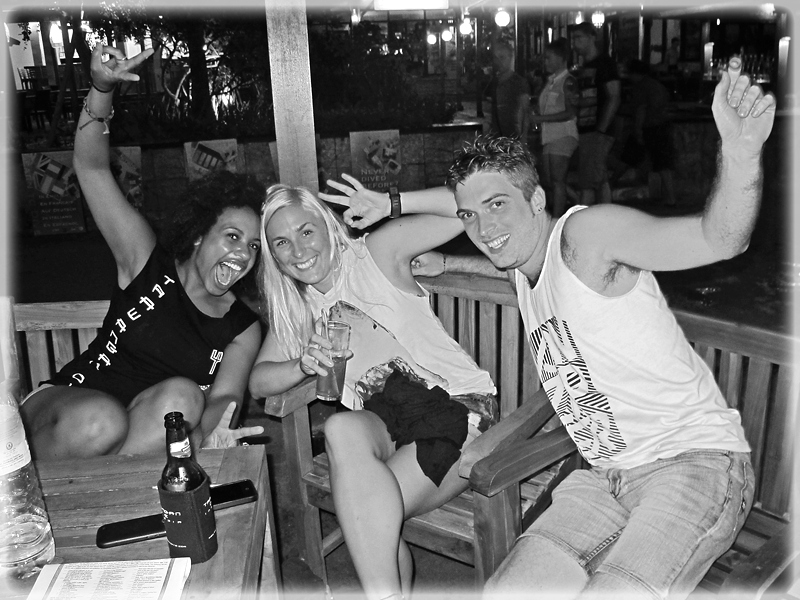 Our philosophy is to create the most experienced certified Divemasters whilst also having fun at the same time. Trawangan Dive is one of the larger centers on the Island and therefore there are many scocial events taking place. It is also a great place to meet like minded divers of the same experiences and interests as you. Trawangan Dive is currently the only PADI Career Development Center in the Gili Islands and therefore provide professional PADI Divemaster and Instructor programs to an extreemly high standard. If your interested in finding out more about our proffesional dive programs check out our IDC Indonesia website which provides details about all of the professional level dive programs including our PADI IDC Instructor Career Programs. If your looking to continue your training after the Divemaster Program The PADI IDC Career Development Program at Trawangan Dive is the perfect step. We run the program every month. To see how previous, present and future PADI IDC candidates have got on check our IDCIndonesia Facebook page. To see our professional courses in action take a look at our PADI IDC Indonesia video. Thank you so much for posting as I am going to visit kihei next month so there is hope that I will get to Scuba diving this time.